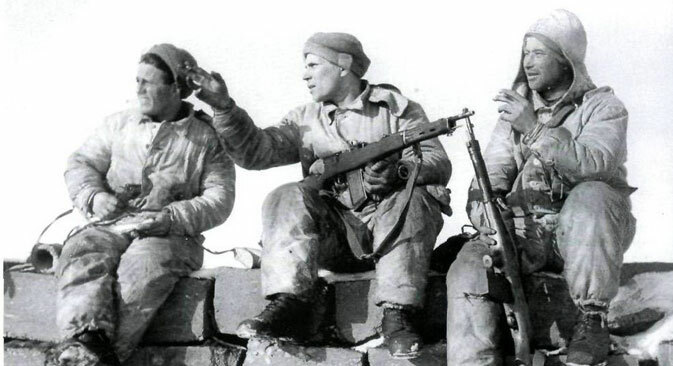 While Russia is known all over the world as the home of the Kalashnikov, it may come as a surprise to learn that the first assault rifle was developed many years earlier. If the Soviet-era legend is to be believed, it was Tsar Nikolai II who hobbled Russian production of the automatic rifle from the outset. “We don’t have enough ammunition,” he supposedly told the designer as he presented blueprints for the new weapon. But this story is far from the reality – the automatic or assault rifle was in fact developed in Russia almost entirely by lone gun enthusiasts before the 1917 Russian Revolution. The vanguard in this field was Vladimir Grigoryevich Fyodorov, who wrote his name into the annals of gunmaking as the designer of the world’s first assault rifle. The idea of arming infantry with rapid-fire automatic weapons was born in the upheaval of the 1904-1905 Russo-Japanese war. Light machine guns had begun to appear on the frontlines and quickly demonstrated their effectiveness. If it were possible to equip each man with such a weapon, his value as a fighting unit would be multiplied manifold. Immediately after the defeat to Japan the Russian gunsmith Fyodorov set about redesigning the time-honored 1891 Mosin “three-line” rifle, with the goal of automating and transforming it into a fearsome infantry weapon. After months of experimentation, the first 7.62mm calibre automatic Russian rifle went into production. Even then it possessed the integral qualities that still distinguish Russian weapons from more elaborate and unreliable foreign equivalents: simplicity and ease of use. During testing the rifle was submerged in a lake and smeared with mud before firing. Fyodorov’s design gave a good account of itself, he was bestowed with a state award and the first consignment of rifles was ordered from the Sestroretsk factory outside Petrograd (St. Petersburg). Fyodorov was still not satisfied, however. Having studied every detail and characteristic of the three-line rifle, the designer believed that maximum efficiency in modern automatic weapons could only be achieved by completely overhauling the existing barrel construction: The main problem was that the three-line rifle was simply too heavy. Any attempt to adapt it to auto-loading ultimately depended on the caliber. The Russian Army used 7.62mm ammunition but the Russo-Japanese war had showed how the advantage of a larger caliber practically canceled itself out in modern battle conditions. From a designer’s standpoint, this meant that caliber could be sacrificed for increased initial round velocity and the resulting reduction in barrel weight, a circumstance that Fyodorov seized upon. In 1913 he produced a developmental prototype of the 6.5mm caliber rifle and his own cartridge design. The new rifle had much in common with its predecessor, but fielded one crucial advantage - a shorter barrel. These advances in gun technology led steadily towards the creation of the modern automatic rifle. However, the outbreak of the First World War obliged the gunsmiths to alter their plans, and many had to drop their research in order to address challenges of a more practical nature: Trench warfare demanded the adaptation of long-barreled rifles for close-quarter fighting. This gave Fyodorov the inspired idea of cutting down the barrel of his 1913 rifle and fitting it with a handgrip for firing. And so was born what we now refer to as the assault rifle, the primary weapon of any contemporary army. Its firing rate of 100 rounds per minute at a range of 300 meters made the design unparalleled by any other weapon in any army of the time. Fyodorov adapted the rifle to fire 6.5mm Japanese Arisaka rifle cartridges, which the Tsarist government bought in large quantities during the war years. Fyodorov’s rifle quickly won acclaim for its innovations, and by late 1916 a Russian Army company deployed on the Romanian front was armed with the new gun. The decision was also made to mass-produce the weapon, although this only happened towards the end of the Russian Civil War. By 1925 a compatible machine gun was also put into production. However, the story of the first assault rifle then came to an abrupt and largely unexplained end. It was almost as if someone in Moscow’s corridors of power did not like the weapon, but no one can say exactly why. Some believe it was because it was unable to penetrate armour plating, while others say stocks of the Japanese ammunition were depleted. Whatever the truth, the swansong for Fyodorov’s rifle came in the Karelian forests in 1940 during the Winter War with the Finns. But Fyodorov’s legacy found inherent continuity in the work of other Russian gunsmiths, thereby ranking his design as a forbear of modern Russian firearms.